Xi Yan Chinese restaurant has two locations in Singapore, one at 112 Katong mall (112 East Coast Road) and another within Shaw Centre (1 Scotts Road). Founded by international celebrity chef Jacky Yu, the restaurant has a menu that showcases an innovative reinvention of traditional Chinese cuisine. As a casual gourmet dining restaurant, the featured dishes are distinctively Asian Chinese with a modern touches, leaning towards homely, comfort food. 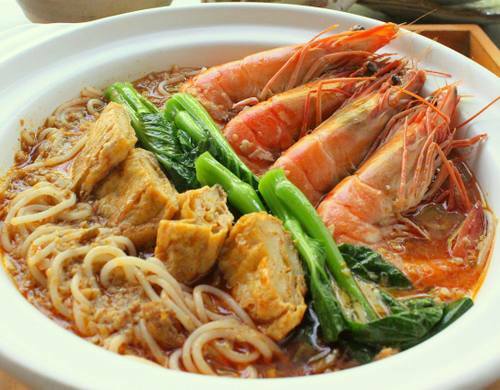 Of the locations, Xi Yan 112 Katong serves an impressive selection of more than 50 dishes at affordable prices. Highlights on the a la carte menu include, for example, Prawn Pork Dumplings in Sichuan Chilli Sauce, Hakka Marinated Duck with Sweet Sauce, Yunnan Ham Niang Tofu in Special Broth, as well as Basil Satay Sauce and Salted Yolk Prawns. The restaurant’s official Facebook brand page is located at www.facebook.com/sg.xiyan/. Xi Yan also has an official Instagram account, which in turn is available at www.instagram.com/xiyansg/.